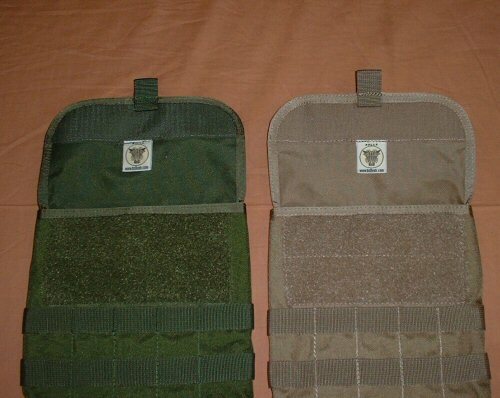 MOLLE hydration carrier by Bulle. The hydration carrier is large enough to fit a 3 litre hydration bladder inside, and is constructed with a double layer of cordura nylon to provide insulation and protection from sunlight in hot, dusty conditions. 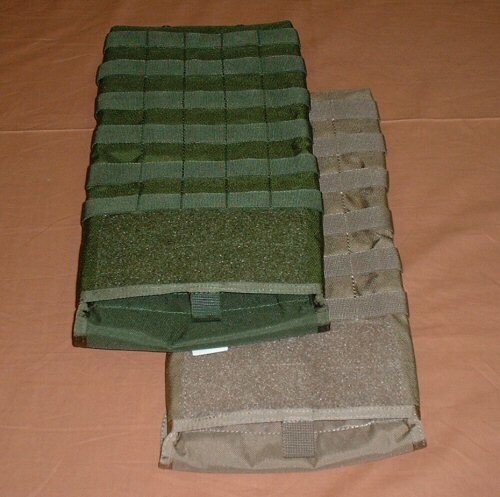 The hydration carrier is provided with MOLLE crosswebbing on the rear to allow pouches to be attached onto the front of the hydration carrier. 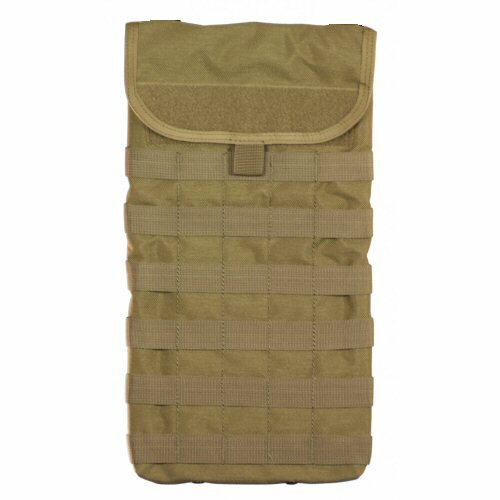 The rear of the hydration carrier has four separate MOLLE button-down straps that may be interwoven for a sturdy fit onto either a full body MOLLE base, such as a CIRAV, FSBE Body Armour Vest, Interceptor Body Armour Vest or Plate Carrier. Internally, the hydration carrier has a loop for holding the water tube in place near the top of the velcro flap opening. Price is for ONE hydration carrier. The hydration carrier does not include a bladder. Made of 1000D Milspec Cordura. Any accessories shown are for illustration purposes only and are not included with the pouch. View of pouch with the loop visible under the top of the front of the pouch. This enables the hydration bladder to be tied securely to the pouch.